Check out the new Cotton Liberty collection from Playtex! The black sleeveless top is the basic that you need in your wardrobe. It is so comfortable and a timeless design that will look wonderful under your fitted clothes. This piece of underwear has everything you need, starting with its seams that are invisible under clothing. It's ideal for active women and doesn't restrict your movements, no matter how busy your day may be. This classic is a model of softness and simplicity! 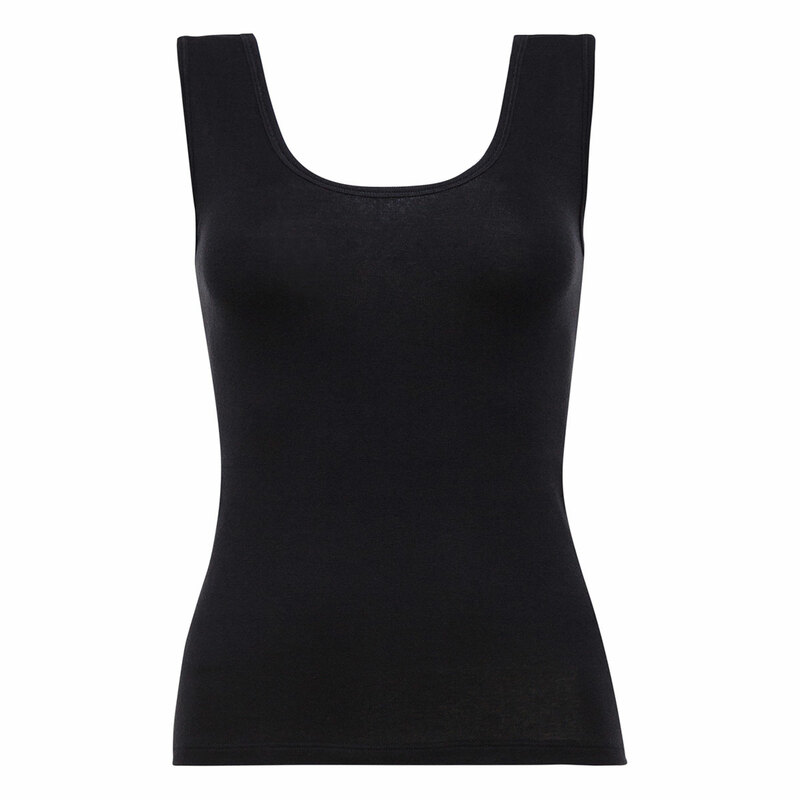 Try something new with the black sleeveless top from the latest Playtex range, Cotton Liberty. Discover total wellbeing with this charming piece of underwear. You can team this T-shirt with a Midi brief from the Cotton collection or a high leg pant from the Cotton & Lace range. Enjoy mixing different colours to suit your mood.